Hello CryptoParty. My name is Georgie online, Heather Marsh to some people and other things to other people. I would like to talk to you all a bit about privacy and anonymity. We all know privacy is essential in high risk activism, but it is so much more than keeping bloggers from being killed. Privacy is for us all, it is a right we used to have and most people do not realize we have lost it, or that we ever had it. Most people in democracies feel that freedom of the press is essential in a democracy; this is because we need information about our government in order to participate in a democracy. This freedom has been turned on its head so that people now feel they have the right to see Kate Middleton’s breasts but not foreign policy documents. It’s the other way around. Foreign policy documents are subject to censorship that is not compatible with democracy. Kate Middleton has been subjected to surveillance in violation of her right to privacy. The news obsession with celebrities and their private matters is there to distract you from the real news which they are not showing you. They tell you what US president Obama’s daughters wore to school when we really need to know if he is going to bomb Iran. In our grandparents day they had a wonderful thing called mind your own business. They did not give their first names to people they had just met. There were layers of trust you went through to get to know someone and you owned the truth about yourself. This expectation of privacy for individuals is gone and we need to bring it back; transparency is for public organizations and actions which affect the public, not for our private lives. Perfect strangers will now demand any detail of your life and feel they have a right to it. We know the surveillance culture has won when snooping is a virtue, equated with being open, honest, and having nothing to hide while a request for privacy is met with shock and hurt and group shunning. We need to start refusing to provide personal data as much as we can, privacy is a basic right and if we do not use it we will lose it. We have lost it. It has been proven enough times, famously by Julian Assange and Bradley Manning but in many other cases as well, that authorities do not need to see any transactions or have evidence of any criminal activity to destroy your life; it is enough that you pull attention, that they are aware of your existence. The fact that you are doing nothing wrong or illegal is no protection if you have attracted the attention of someone with power or mental instability. Governments are not the only people on the internet; if you start expressing opinions you will find far more interesting opposition as well. Anonymity, once lost, can never be regained; even if you have no intention of ever expressing a controversial opinion, privacy should become a habit, like brushing your teeth. Besides the safety aspect, online anonymity is cherished by internet dwellers as the only means to pure thought exchange, where ideas can be judged on their own merits, unclouded by preconceived judgements based on unrelated data. I started out as a programmer, and there was a time where even just my voice would have made anything I said instantly discredited, people only listened to opinions on programming or politics from baritones and tenors. That is still the case in some circles, there is a reason my online names are usually sexually ambiguous or male. Alan Turing, one of the fathers of computer science faced the same obstacle when it became widely known that he was homosexual; there is a very sad quote from him, “Turing believes machines think. Turing lies with men. Therefore machines cannot think.” We have lost far too many brilliant ideas because of bigotry against the place they came from. Many women in history would never have been published if they did not publish as men; many brilliant thinkers have been attacked based on irrelevant personal data such as race, age, or opinions on unrelated topics and their ideas have been lost. Until we live in a world with no bigotry, anonymity is the only way for these voices to be heard. In order to move to an idea driven system, away from a personality based one, we need to all stand up for privacy for us all. Crypto parties are an amazing initiative; Privacy is fun; Tor and PGP and OTR are very fun to use, and when you are comfortable with them, maybe you will also tell the next person who demands personal data from you to mind their own business which is also fun. I hope you all have a great evening! 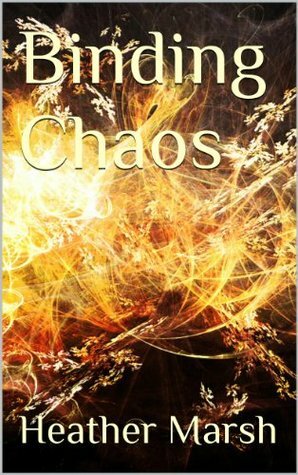 This entry was posted in 2012-2015, Binding Chaos Articles and tagged Audio. Bookmark the permalink. Heather I am also sorry about the spam coming from your blog, i sympathise greatly. This is just the way it is. What I did – and possibly lots of sympathetic others have done – is to opt out of receiving updates until you’ve sorted it out. Thanks Apeetha, it’s sorted, so sorry! Very nice to hear from you though, I miss people talking to me here. Hello, just discovered your blog. I am not sure I agree that it is the best strategy for bloggers to hide in anonymity in our western “democracies”. I once intended to start my own blog, and have given it some thought. I am not so tech-savvy as to be able to effectively hide my identity before hackers, intelligence services, the state, etc. In the end, I would be known to these (ironically anonymous) entities, and I – and my ideas – would be anonymous only to those to whom I want to get my ideas across. That is the worst combination. As a consequence, not only does the blogger have less followers and less impact, as there is no face and identity attached to the blog and gets lost in anonymity, but is – should he or she really become a “danger” – completely transparent to and vulnerable by the “establishment” who then can act against the blogger in complete anonymity and unbeknownst to the public. I therefore think that the best protection, when it comes to dissemination of opinions, is to hide out in the open. It is more difficult for the “establishment” to act against “public” figures, as these public figures are protected by the public. Let us take as an extreme example Julian Assange. He is relatively safe just because he is known to so many people and has so many supporters. I do not dare to think what would happen to him if that were not the case. When it comes to having an impact, let us take as an extreme example Noam Chomsky. Do you think he would have even remotely as much impact would he disseminate his opinions anonymously? It goes without saying, that these comments are not applicable for states that are tyrannies where everybody knows that dissent is live-threatening. This fortunately is not the case in our western world. You just outlined the two opposing views to privacy; whether it is more effective to rely on trust networks or anonymity. I think the answer is situational, and trust networks are essential at least at the moment to circumvent spam and astroturfing, but as I mentioned with my examples of Turing and myself, sometimes anonymity is essential to being heard. It is possible to preserve anonymity while still building a trust network, but not disposing often enough of the trust network has been the downfall of many members of Anonymous. Assange and Chomsky are both ‘old’ examples by our current standards, we have seen the problems encountered by Assange and are looking for new solutions; and ‘don’t pull attention’ is definitely part of the arsenal, even in the west.